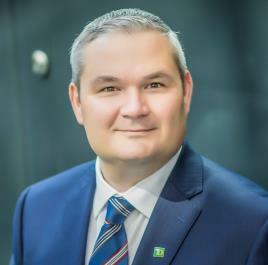 As the principal of West Georgia Wealth at TD Wealth Private Investment Advice, Steve and his team offer individuals, corporations and foundations a wide, holistic scope of services, encompassing discretionary portfolio management, wealth planning and related tax, retirement, estate and business succession strategies. Steve has more than 20 years of experience in advising high net worth investors. As a seasoned Portfolio Manager and holding a Chartered Professional Accountant designation, Steve endeavors to bring a very high level of professional and ethical standards to his role as a Portfolio Manager. Steve also holds the Fellow of Canadian Securities Institute (FCSI®) designation, one of the highest honors in Canadian financial services, reserved for an exclusive group of professionals who demonstrate strong leadership, integrity, commitment and dedication to their clients and the industry.